One more edition, Mediterranean Natural will be present at the most important world trade show of pet products. Interzoo will gather 2,000 exhibitors from more than 70 countries, surpassing the figures of previous years. 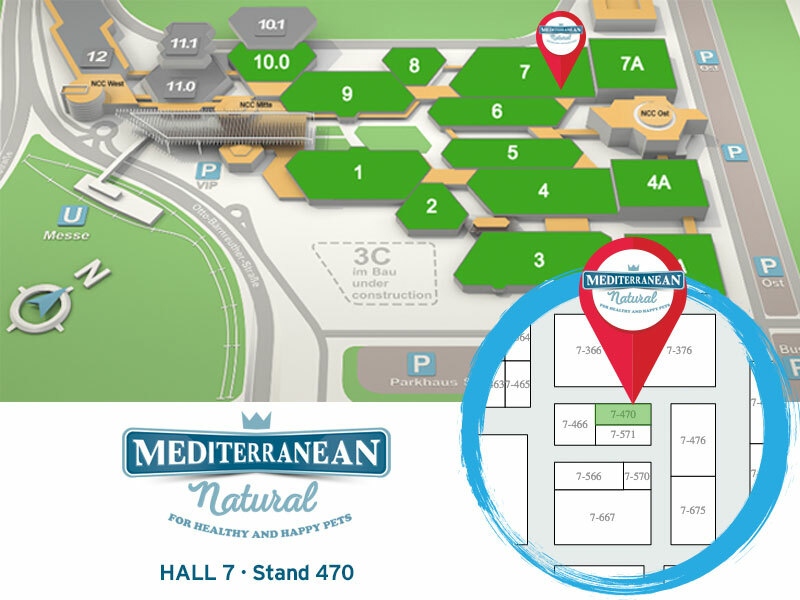 Thousands of visitors from all over the world will be able to see the Mediterranean Natural products for pets in stand 7-470 of Hall 7. There, our brand will exhibit a wide range of snacks and food. All Gluten free, artificial colourants free, GMO free and trans fatty acids free porducts. The formulation and production process has been supervised by the Department of Animal Physiology of the Faculty of Biology of the University of Murcia. 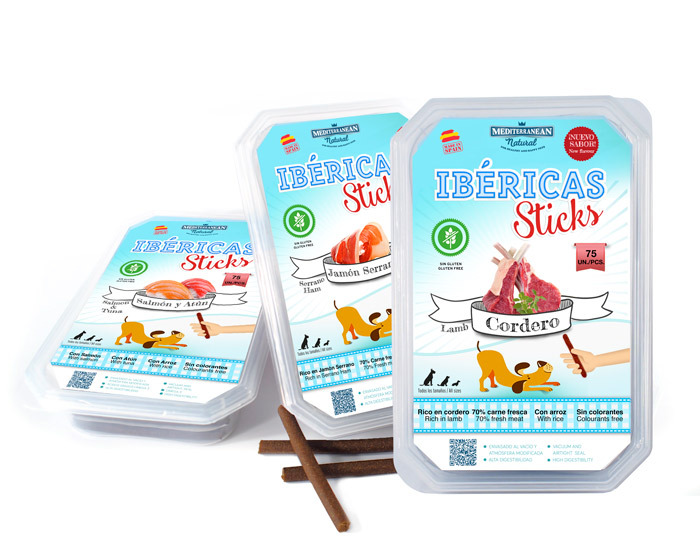 Made with first quality raw material and Spanish origin, Mediterranean Natural produces hypoallergenic snacks (all except those containing milk and / or fish), which provide Omega 3 and 6 (those containing salmon and tuna in its formulation) and natural source of oleic acid. The perfect snack to reward the behavior of the dog. Very used in dog training. They are packaged in 100 gram bags and 8 different flavors. Individually vacuum-packed (the same day they are made), they remain fresh until they are consumed. Ideal in the walk and training: for their packaging, they can be comfortably carried in a purse or pocket because they do not stain or give off odor. 4 flavors available in boxes of 12 units. Premium sticks packed in airtigh seal and vacuum packaging in 900 gram jars. The snack in XXL format preferred by the big consumers, in 8 different flavors. 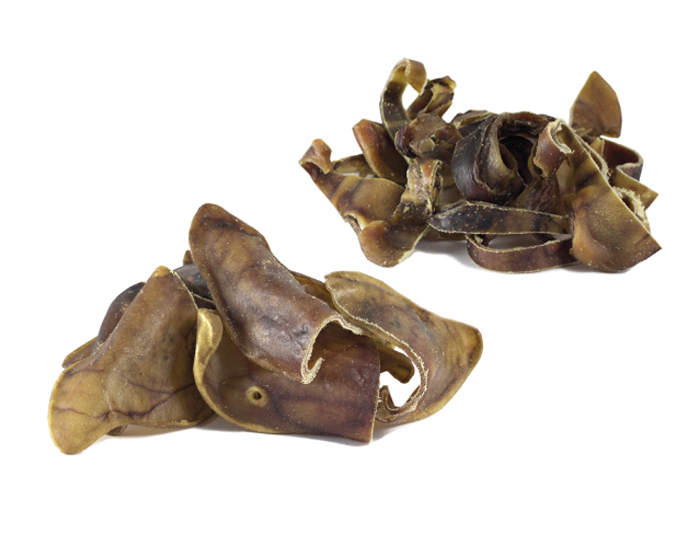 100% natural pig’s ears, which provide high biological protein value and are an ideal complement to strengthen gums and help clean the dog’s teeth. They are presented in bags of 2, 10 and 50 units and in bags of ear strips of 150 and 500 grams. 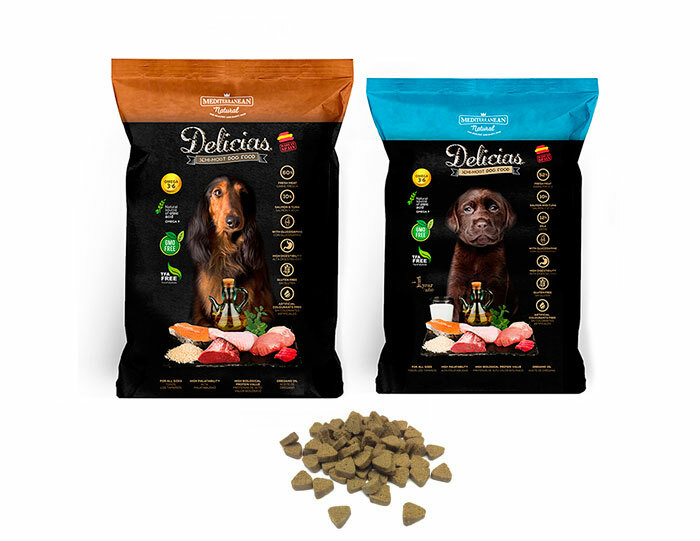 The semi-moist food of Mediterranean Natural for puppies and adult dogs. 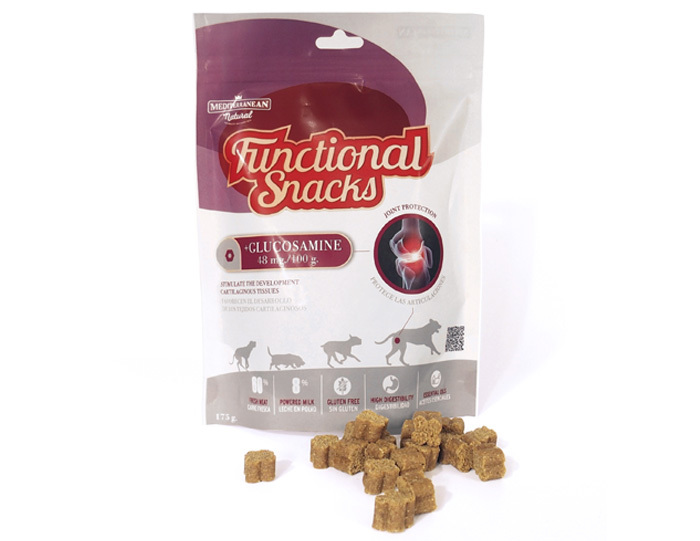 Specially designed for small and medium dogs and those who have difficulty chewing (it is a very soft product). With extract of prawn and crab (source of glucosamine), it favors the development of cartilaginous tissues. The format for puppies is sold in bags of 800 grams and bags of 1.5 kg for adult dogs. 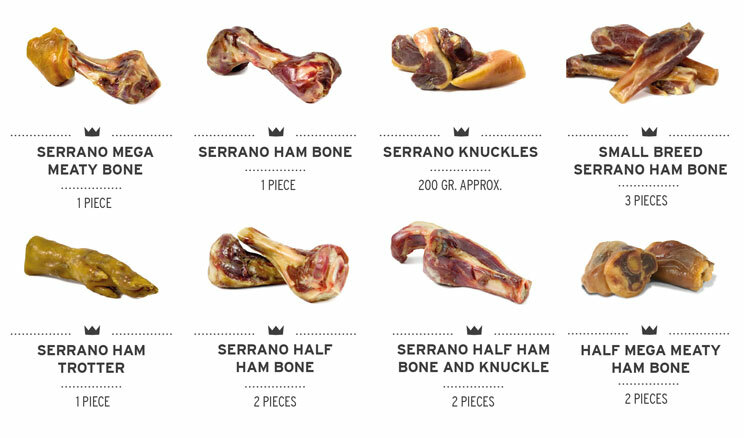 100% natural Serrano ham bones for dogs that help strengthen the teeth and eliminate tartar. They are presented in different formats so that each dog, according to its size. All the dogs can enjoy an ideal Ham Bone, minimizing the risk of fracture and chipping. Check here the resistance study of our Ham Bones developed by the University of Murcia. In Interzoo 2018 a new Ham Bone will be presented: the half mega meaty Ham Bone. Ideal for large and medium sized dogs. 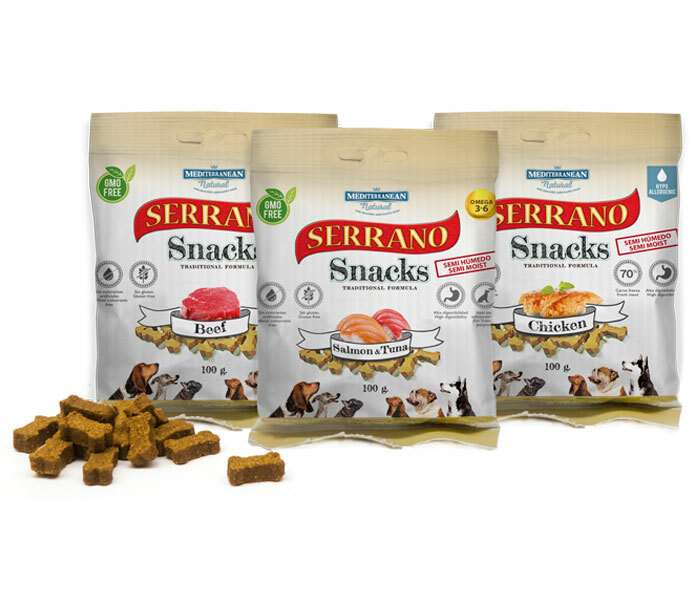 Until now, the snack with glucosamine was available in the market (nutritional supplement for adult dogs prone to degenerative processes of joint cartilages, which relieves the symptoms and delays the progression of osteoarthritis) but in Interzoo 2018 Mediterranean Natural will present 3 new Functional Snacks. 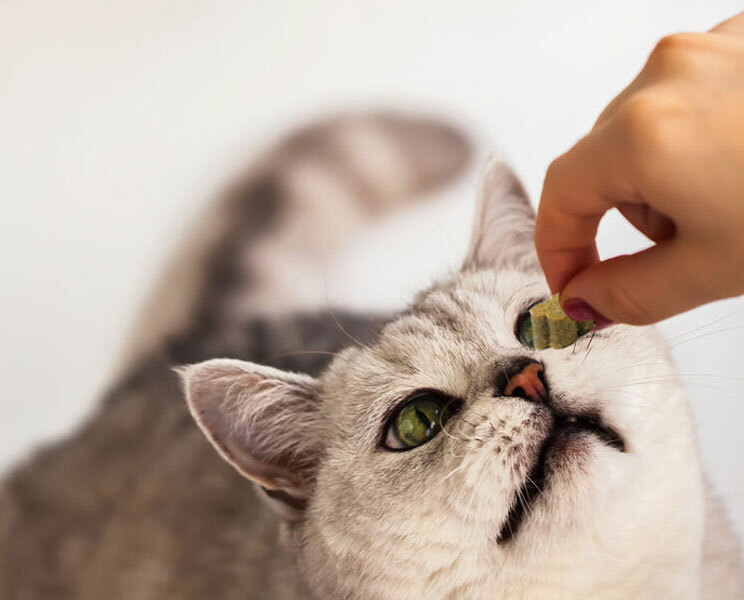 Our first snack for cats! Many of our customers have asked us on numerous occasions that our brand will expand its field and also offer products for cats. In Interzoo 2018 will already be a reality. See you son! See you at Interzoo 2018!